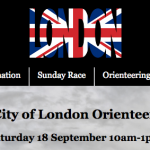 12 Sept – SLOW City of London Race. I’m the mapper. Now over 500 entries!